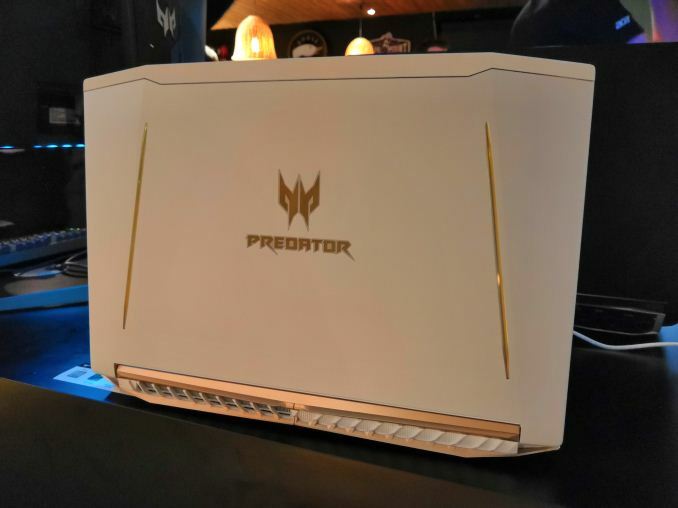 One of the more interesting laptop designs to come out of the Computex week was from Acer: its new Predator Helios 300 Special Edition was an eclectic mix of white and gold that made it stand out from the swathe of standard black and red looking gaming machines being announced and on the market. We had a recent chance to spend some time with the unit at an Acer UK event. 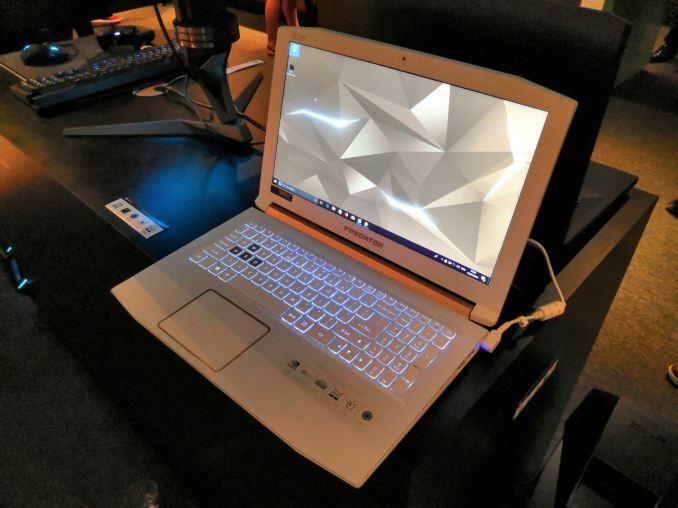 So to begin, the unit in front of me was a Core i5-8300H model with a 15.6-inch 1920x1080 IPS display with a GTX 1060 inside. The unit looks great, if you like white and gold, and it will be interesting to see how the white stands up to repeated use and cleaning. We were told that the chassis is made from some composite materials (which ones were not disclosed) which should reduce fingerprints and scratches incurred during normal use. The display, while not going all the way to the edge, can get reasonably bright, was definitely useable in a dimly lit room. Viewing angles seemed solid as well. The webcam is above the screen, and to be honest the white surround of the display did not impinge on using the device. 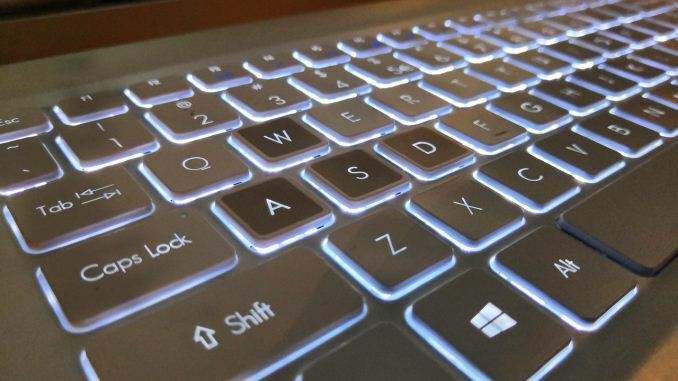 The keyboard is basically a full sized keyboard, using full size arrow keys which is a definite plus. The amount of key travel, compared to say the Huawei Matebook X Pro, was larger which is a plus for my use. It is easy to spot that the WASD keys have a ‘gold’ square on them. This is not a sticker, the keys themselves are colored this way. I feel like the key should be fully colored, rather than just a square (which sometimes looks off center), but I suppose it is easier to add the color after the fact. The key letters are actually cut aways from the keys as well. The function keys to adjust the brightness are in the arrow keys, with some of the F-key row for other functions. There are separate functions for music too. 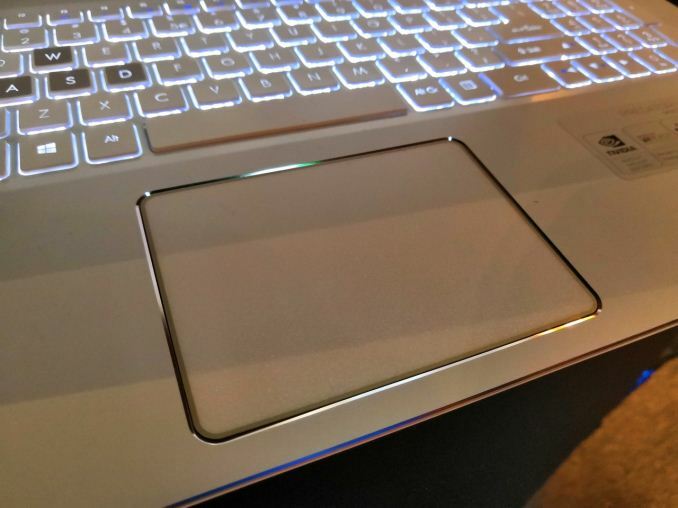 The downside of the keyboard though is the location of the power button – right next to the number pad. I often use the number pad for numbers and operational keys, so having the power button here is quite frustrating.